Bob Scaramuzza thought he was done with wrestling. He thought that part of his life was in the past. College football was his future. Yet like most former wrestlers he missed the mat. He missed the grind. So in his sophomore year, the former national prep placer came out for the Ursinus College wrestling team at heavyweight and had an incredible year. After only having half a season to train due to the time constraints of football, Bob placed 2ndin the Centennial Conference behind a top ten nationally ranked opponent. In the regional tournament lost only to the wrestlers who placed 2nd, 3rd, and 4thin the tournament and finished 2–3. But it’s the decision that he made between his sophomore and junior season that is truly inspiring. Bob weighing on average 230–240 lbs decided to make a healthy change and go down to wrestle at 174lbs. This required an incredible diet as well as powerful workout schedule. 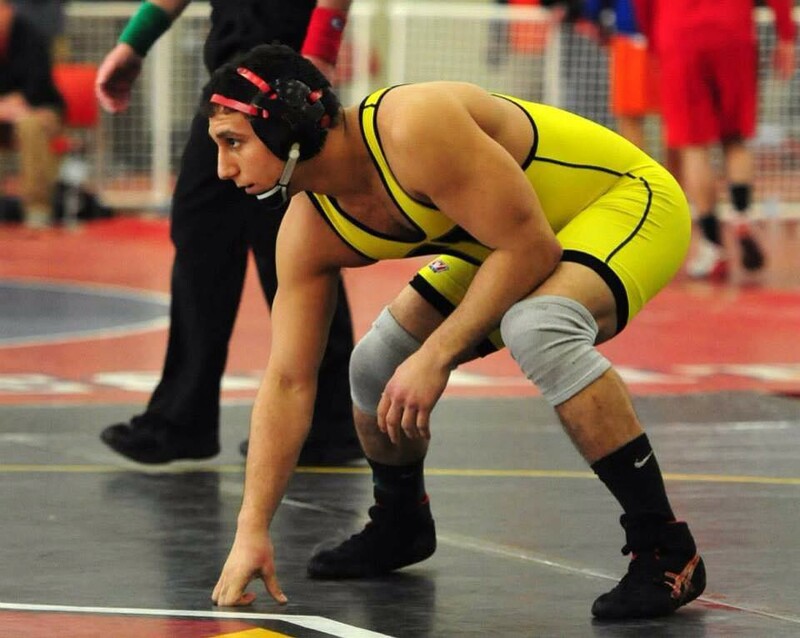 He also gave up football, the sport he was convinced he would play all 4 years at Ursinus, in order to focus on his weight loss and upcoming wrestling season. His hard work would show as he finished his junior season with a 23–11 record, a tournament 1stplace at the Will Abele Invitational, and a 3–2 record at the East Regional NCAA qualifier finishing in the top 8. With his senior season coming up, Bob is looking to finish his career off strong with a NCAA qualification and AA status. But in Bob’s case his weight is not the only adversity he is dealing with. He also suffers from compartment syndrome a condition that causes extreme pressure on the compartments of his legs that contains the muscles and nerves. Because of the rarity of the condition, there is very little known about how to treat it. Most of the time, surgery is necessary to relieve the stress on the compartments, in most cases multiple surgeries. Despite the pain he feels when wrestling, a pain which he has described as feeling like “a golf ball being lodged in his calf”, Bob still works hard towards his goals every time he steps on the mat. Nate — What are some your individual as well as team goals for this upcoming season at Ursinus? Bob — Win another Centennial Conference title as well as the East Region as a team. Nate — What do you have to do to keep yourself healthy? Bob — Several ice bath treatments a day, stretching exercises as well as a good warmup before practice and competition. Nate — After the season and when you graduate from Ursinus what are your future plans? Bob — I will eventually look to take over my family’s pasta manufacturing business but I would like to work somewhere else to gain experience before going back to the company. Nate — What advice would you give a wrestler who is dealing with some adversity?What would you tell them to keep going? Bob — Wrestling is one of the hardest sports there is. It takes a different kind of person to be able to step in the practice room everyday and to walk out on the mat and compete. 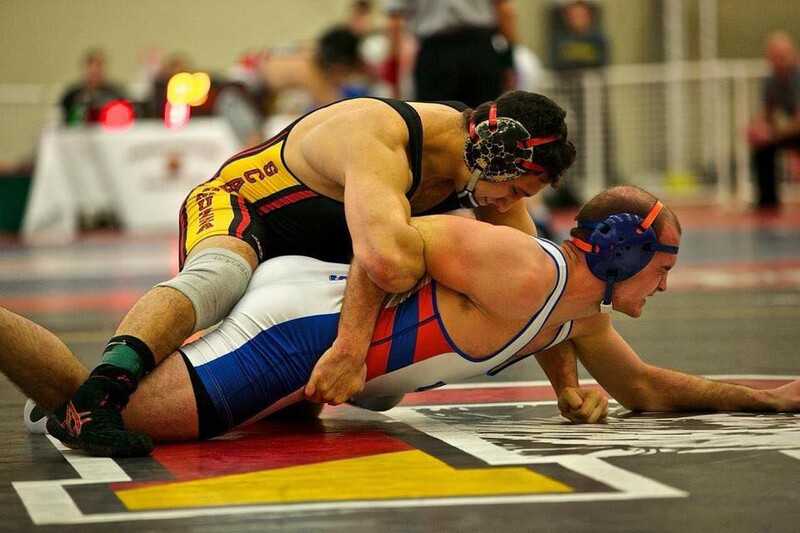 As a wrestler, you have to make a commitment to not only the sport but yourself. And in the end it is all worth it because no matter how hard things are at times, you can always think that once you’ve wrestled you can do anything. Bob has been a practice partner, inspiration and friend to me since I came to Ursinus in 2012. I hope this story inspires others just as Bob has inspired me to succeed. Bob Scaramuzza is a senior at Ursinus College from Deleware County PA where he is studying business and economics. He was a four year letter winner in both football and wrestling at Malvern Prep and he is a two year letter winner in football and three year in wrestling where he played fullback and wrestled in the 285 and 174 lb. weight classes. His priorities in his life are his friends and family and the Philadelphia Eagles. He hopes to one day take over his family owned Pasta Company which is famous locally in the Philadelphia area and help it grow much larger than ever thought possible.